The Devonshire - That Guy with the Birds! 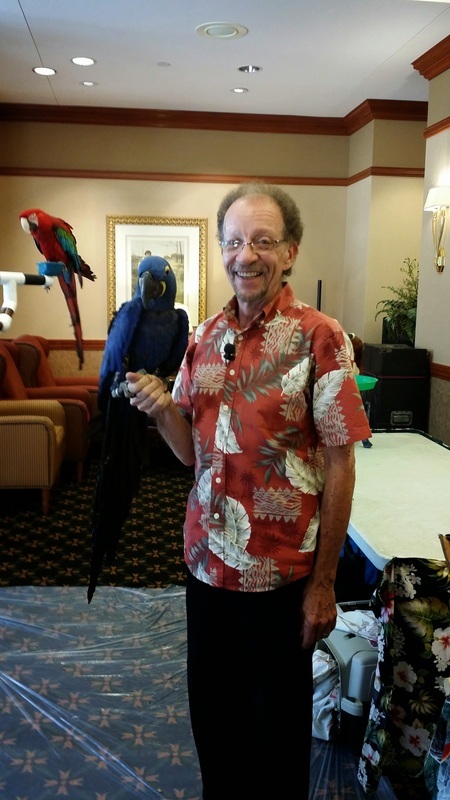 We have been providing entertainment for the residents of The Devonshire of Mt Lebanon for many years and always look forward to seeing their smiling faces. This year we had a very special treat for them! Becca, a Hyacinth Macaw is a recent rescue and John has been working with her gaining her trust to be able to not only handle her, but also to have her stay on a perch during a show. After many months of daily training, John felt the Devonshire would be the perfect place to have Becca make her first public appearance. All the residence cheered and clapped when Becca was introduced and she did wonderful! Click here to see a video of her BIG debut!